She’s fierce, she’s fabulous, she’s a sensational actress and a brilliant, fashion icon – she’s our queen, the one and only, Lilimar! Where do we even begin when talking about just how extraordinary Lilimar is? The outstanding Lilimar first won over the hearts of fans worldwide with her terrific role in Nickelodeon’s hit show, Bella and The Bulldogs. Lilimar showcased her exceptional, acting skills so magnificently and she always brought so much excitement and fun in all of the episodes of the show. Now, we get to see Lilimar’s gorgeous face on our TV screens a whole lot more as it was just recently announced that she will be starring in the brand new Nickelodeon show titled, Knight Squad, which is bound to bring even more wonderful magic to the amazing network. We greatly look forward to seeing Lilimar and her marvelous talent in the fantastic show. In addition to being a spectacular actress, Lilimar is also a remarkable, fashion inspiration to everyone. Her super chic and trendy OOTDs always make heads turn and we definitely love to Insta-stalk all of her awesome outfits. We totally wish we could spend a day shopping with Lilimar. The dazzling Lilimar is truly a gem. She’s a beauty both inside and out and someone who inspires her fans on the daily. Lilimar always uses her platform for good and she even does a weekly “Fresh Faced Friday” on her Instagram to encourage everyone to love who they are and be confident in themselves. Lilimar is a great role model to all of her fans and she truly deserves all of her successes! 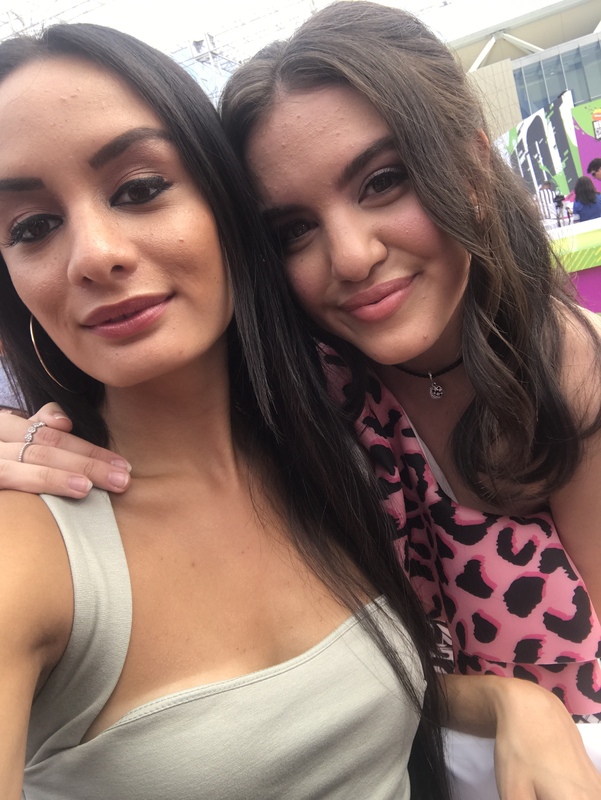 I, Alexisjoyvipaccess had the honor of covering the 2017 Nickelodeon Kids’ Choice Sports again and had a blast catching up with and interviewing the flawless Lilimar again at the event. Lilimar dished exclusively to Alexisjoyvipaccess all about her new Nickelodeon show, Knight Squad, which athlete she thinks has the most swag, and so much more only in our VIPAccessEXCLUSIVE updated interview. Lilimar even revealed which athlete she would take on during an arm-wrestling challenge – hear what she had to say in our VIPAccessEXCLUSIVE updated interview below. Thanks for another amazing interview, Lilimar! Check out my VIPAccessEXCLUSIVE updated interview with the phenomenal Lilimar at the 2017 Nickelodeon Kids’ Choice Sports below! Previous Article: Check Out The Full List Of Nominees At The 2017 MTV Video Music Awards Hosted By The One And Only Katy Perry! Next VIPAccessEXCLUSIVE: “World Of Dance’s” Diana Pombo Interview With Alexisjoyvipaccess!